BannerFlex banner brackets are resilient. We’ve continued to learn and improve our products over the last three decades and are confident that we offer the best bracket hardware on the market. You might notice that our brackets feature two different banner rod styles, the round arm and the Airow rod. Let’s explore their similarities and differences so that you can decide which style is right for you. Both brackets arms are rugged enough to withstand wind-force tested up to 100 miles per hour and are made with pultruded fiberglass. Why pultruded fiberglass? Because it has the strength of metal, is light weight, and corrosion resistant. Both styles are flexible enough to return their banner to its original position when the wind subsides. That inherent flexibility increases the life of your banner by allowing wind spillage and reducing stress on the banner. It also decreases the stress on the light pole. Our D3 standard round arm bracket rods are consistently strong through their entirel length. These are the benchmark of the banner bracket industry, and provide consistent performance. 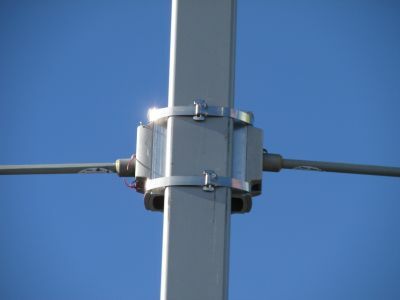 For light poles that are strong enough to have the bracket dissipate less wind the less expensive round rod is the perfect choice. We've manufactured this type of bracket for over 30 years and it’s still our best seller. The premium Airow is a modified version of this technology where the rod is pultruded but the shape tapers down to the outer edge. This makes it more and more flexible from the main casting at the pole to the end. 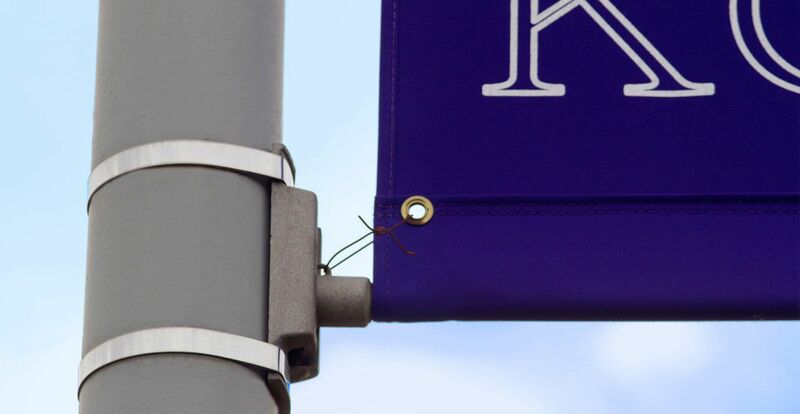 These rods are 50% more flexible than our standard rods – allowing that much more wind spillage to reduce stress on the banner and the light pole. If your banner is in a high wind area, or attached to a light pole that can’t take the wind load, the Airow is the best choice. Try out our wind force calculator to learn more, or go straight to guided purchasing to begin your order today!